please add GML option for this wonderfull EQ, and i will buy it for the price immediately. Also i am wondering when you release other plugs from Ellite bundle. I will buy all of them at once. Thanks for all great job done ! This is a truly great plug-in! It is always #1 or #2 on those "Desert Island" EQ plug-in lists. I don't understand the less than perfect reviews some has given it, which are not based on the sound and performance of the plug-in itself but because Sonnox sells the exact same plug-in. Since I don't own any Sonnox bundles, it does not get much better than this. The UAD version is a few dollars cheaper than the stand-alone Sonnox Native instance, I had a small discount coupon which lowered the price even more, it takes advantage of my UAD DSP power, & I have been told the interface feels a tad better. I was very partial to the UAD Cambridge EQ graphical display, This has all that with famous Sonnox sound. Great a addition! I now have the Oxford, to grab, and I do that very often as a Pro sound and mastering engineer. The Oxford EQ is the EXACT algorithm as the Sonnox version. After speaking with the East Coast regional manager of UA, I learned that UA didn't market this plugin to people that already own the Sonnox version. This is for people that don't already have the plugin but prefer to have the UAD card handle the DSP processing. It's all a matter of personal preference. And for those of you who think the Cambridge EQ is the same thing, you are mistaken. The Cambridge EQ was UA's best crack at the Oxford type EQ before they had license to sell the real version. The Oxford EQ is the EXACT sonnox authorized version which also comes with 4 different EQ types which the Cambridge doesn't offer. This is an absolutely amazing EQ. I own the native version and use it all the time, however I really don't see how the $299 cost for the UA version can be justified. Being a Logic user, I would almost be tempted to buy it anyway if this version included the GML option but it does not. One point I think is worth mentioning - other users have posted that they don't see why UAD have released this. The reason is this is a third party plugin developed by Sonnox with probably little to no input from UAD. I totally get the point of it, but not at this price and definitely not without GML. If you have the Cambridge why on earth would you get this plugin. The Cambridge is amazing but for a decent prize of 150, but to pay 300 for this Oxford Plug-in. A total rip off. Doesn´t offer any AMAZING differences. If it cost 150 like the Cambridge ... then it would be like either Pizza Hut or Domino Pizza, but for 300 ... no way. Not worth the price. I try to set the same settings in UA plugin, and in original Sonnox Eq (from Elite bundle). I record the result, and then revert the phase. The result is - ABSOLUTE SILENCE!! It means, that it's absolutely the same code!! Not necessary to buy this plug if you have original from Sonnox. As already discussed, WAY overpriced and no better than what's already out there. UA - come on guys, how about something we can't get elsewhere? Oh....and at a decent price. I have 70%+ of all your plugins but I fear the pricing as of late is forcing me away. That + the fact that you can't use a Satellite as extra realtime processing on Apollo. Overall - need to try harder to get more of my dollars. If you think you might like to purchase this plug-in, save yourself both money and regret by buying the Cambridge EQ instead. If you already own the Cambridge EQ, be glad that you do, and ignore this odd misstep in a long line of great products by Universal Audio. I''m sorry guy''s, but this plugin is to expensive, considering you can do the same with the Cambrige EQ. I have the cambrige EQ so why do i have to buy this one?? Having been a long time Sony Oxford Console owner as well as long time user of the Oxford Plug in, it can't be said enough how much of a fantastic eq this is and has always been. There's a special something that can be surgical and broad with the same instance, and the filters are as good as it gets. This is a must own plug in. Upgrade from cambridge would be cool also, but i dont think they can do this, once sonnox must agree with something like that, and they wont. This is where I would usually get all excited about the latest addition to the UAD-2 Plug-In family. Universal Audio has been incredibly consistent with mesmerizing my mixing ears, and I would have to say that I am very proud to have quite a nice and hefty collection of UAD-2 Plug-Ins cozily nestled in my Meter & Control Panel. This time however, I did not feel tempted to hit the "BUY" button after downloading V6.3 and giving the Sonnox Oxford EQ Plug-In the 14-Day Trial. It's been 7 days and I would have to sadly report that I cannot share that same excitement I once experienced. 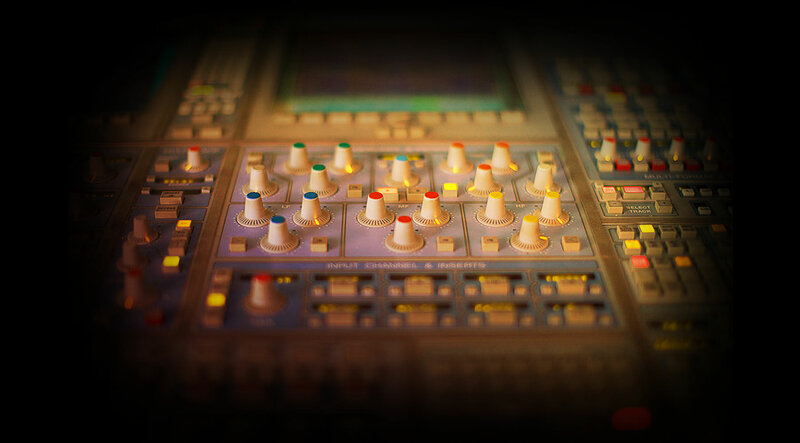 I am aware of the number of new features on board, however at the end of the day, it's just another EQ. How about an old valve mic preamp plug-in next time? I agree. The native Sonnox EQ sounds as good, if not better. And for around $500 you get the EQ, Dynamics, Limiter, etc. UA charges $300 for the EQ alone?! I am not sure why UA would want to release this plugin. If it was a free [or inexpensive] upgrade from the Cambridge, it would make sense. I was expecting UA's next EQ release to be API. Maybe in the future. But please don't charge $300 for one EQ! Honestly, I didn't hear anything special with this EQ. I don't find it as smooth as everyone is stating. I was really disappointed.